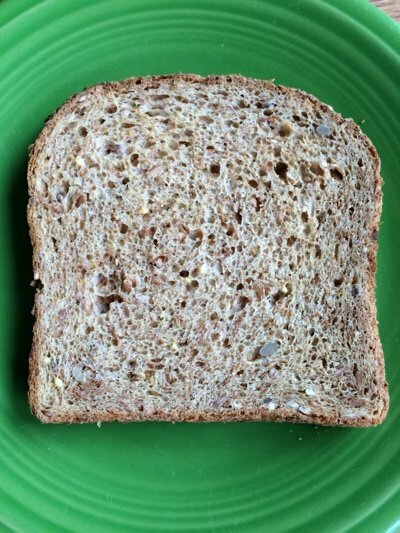 Have You Tried Sprouted Bread? Alvarado St. Bakery makes sprouted bread and you can find it all over the country. If it isn’t on the shelf, you can find it in the freezer because it contains no preservatives. I keep it in my freezer to ensure it doesn't grow mold before I eat it all. What makes it special is that it is “flourless” bread. It is made with sprouted wheat berries instead of pulverized wheat berries (AKA flour). The “sprouted” part means that it is less processed than its “flour” cousin. Honestly, I wouldn’t have known it was made without flour except for the packaging. This bread is more nutritious than most breads on the market as it is packed with seeds. It is hard to find a slice of bread with 5 grams of protein. It is a bit smaller and less fluffy than other commercial breads but it has a nice crunch when toasted. It doesn’t taste like much, but shouldn’t bread be about what you put on it? Avocado, anyone? This bread will cost between $4-$5 per loaf depending on where you live (no nutrition doesn’t come cheap) but that will make you savor it! Find where you can buy it here: Alvarado Street Bakery. 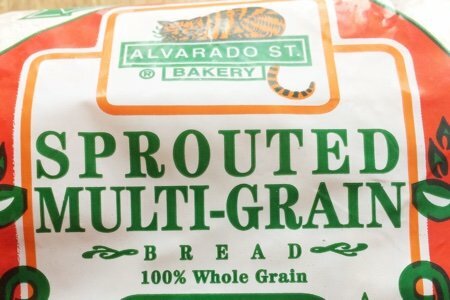 Have you tried Alvarado St Bakery’s Sprouted Bread? What did you think? I have not tried this particular brand of sprouted bread, but with one less Smart Point than my usual whole-grain wheat bread, I'm excited to give it a try! I love Alvarado Street Bread too! Mighty healthy and you're right, it is to be savored at that price. I keep it in the freezer too; one piece toasted with an oz of cheese and fruit makes a filling snack. I must admit tho, occasionally I need a softer bread for a PBJ or grilled cheese. For those times I buy Vermont Bread Company's organic line; not so high in protein but serves my need. I have a personal bread quota--no more than once per day so if I have any at breakfast, that's it, no sandwich that day. Its a silly mind-game but keeps my bread consumption in check. I wish I didn't love bread so much, darn it ! Nothing beat the aroma of fresh bread baking in the oven.I've been making my own sprouted grain bread,2 loaves at the time for the last year.When I'm feeling lazy,I buy Dave's killer bread,and is also very good. Claire, would love your recipe for sprouted bread! I got mine at Sams club. I love the taste. Giants food market has stopped supplies your products and substituted nature's promise.It does not compare. Where can I find your product.I now live in Lancaster, Pa. and used to live in Petaluma. I would not use any other bread. I toast it and make a simple peanut and jelly treat. Also, excellent for french toast. To Lynn...Hanover Pa still carries Alvarado Street products. Kind of a drive just for bread but thought I would let you know!